Your day trading computer is one of the most important parts of your setup. Day trading already poses enough challenges as is; the last thing you want is for your technology to hold you back. While it's possible to trade from your iPhone or laptop, serious day trading generally requires a fast PC with multiple displays. Keep in mind, you don't need to build a $3000+ computer setup when you are first getting started. You can work with what you have an upgrade over time. For example, you can upgrade components within your existing computer without buying a new one. The first thing you need to focus on is your actual trading computer. This can be a PC tower or a laptop, whichever you prefer. PCs generally allow for more customization and upgrades, but laptops can have great specs as well. A computer's hard drive is where all of your data is stored. Storage is relatively cheap nowadays, so you won't need to pay to upgrade your storage. 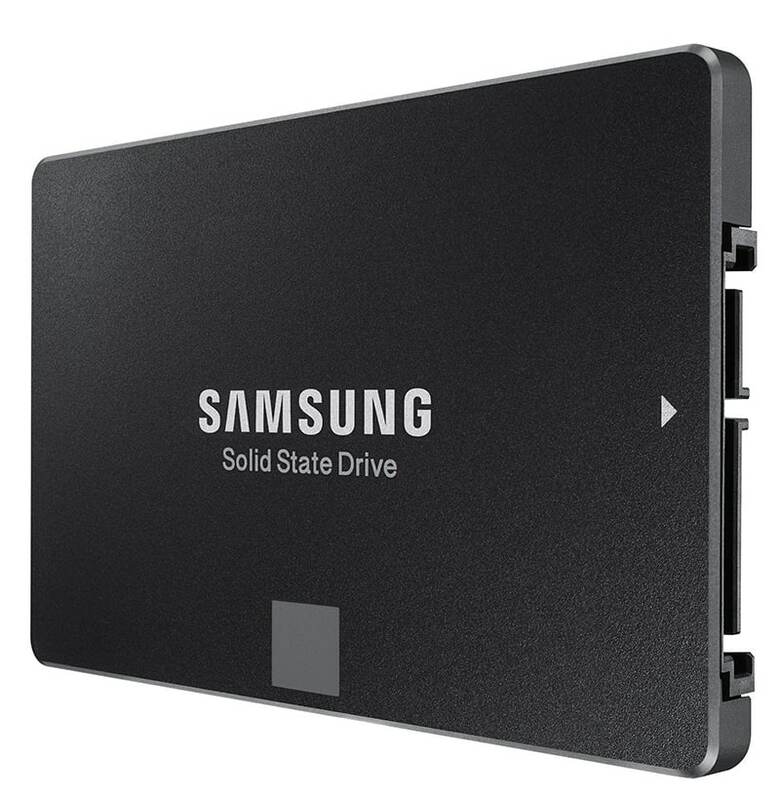 That said, you should opt for a solid state drive (SSD) as they are much faster and more efficient. For example, booting your computer with a SSD takes about 10 seconds whereas booting with a standard HDD (hard disk drive) takes about 30+ seconds. In terms of storage, most computers will come with 500GB, which should be more than enough. 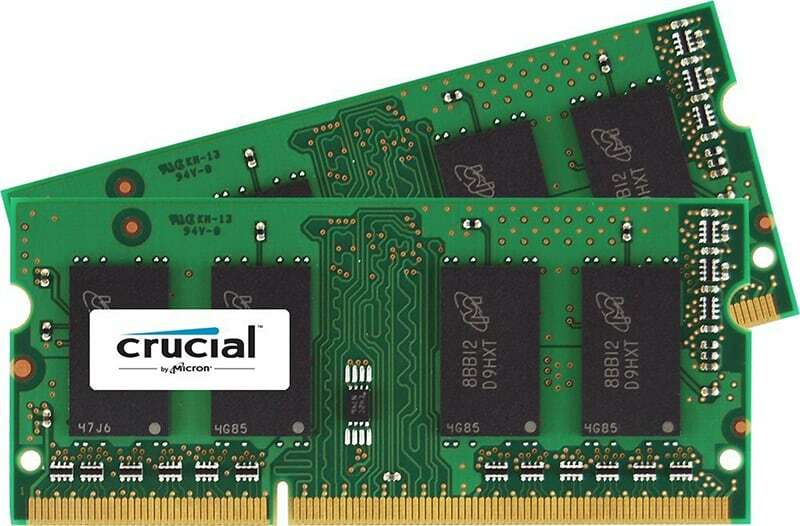 RAM (Random Access Memory) is the component of the computer that allows you to run multiple processes efficiently. Whereas a hard-drive could be compared to "long-term memory," RAM could be compared to "short-term memory." The average trader will be running many processes at the same time, so RAM is very important. If you want to have your trading software, chat rooms, and browser windows open, make sure to opt for higher RAM. RAM is measured in gigabytes, and built-in RAM will generally start at 4GB, but most traders should get at least 8GB of RAM (preferably 16GB). 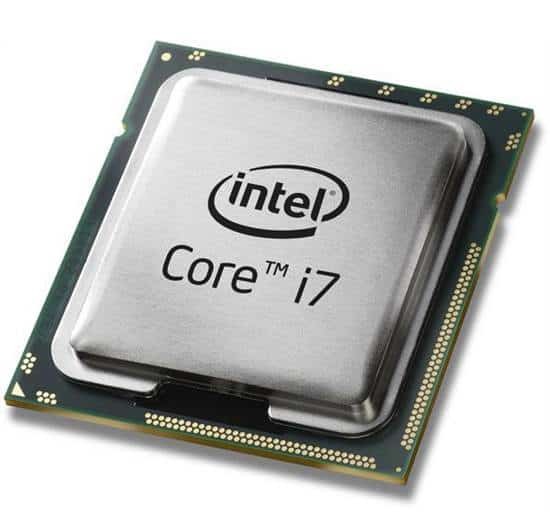 Processors, also known as central processing units (CPU), serve as the brain of your computer. Your computer's CPU controls all of the processes you have running. CPU is measured by it's speed in gigahertz (GHz), which will usually start at 1GHz and go up to 4GHz. You should also pay attention to the number of cores your CPU has, as that will affect how many processes can be run simultaneously. A powerful graphics card is essential for traders who plan on using multiple displays. As you could probably guess, your graphics card is responsible for processing all videos, graphics, and anything you see on your screen. More powerful graphics cards will display better graphics AND allow for higher resource usage (AKA using more screens). Look for a card with dedicated GPU of 2GB+. Think of the GPU as RAM for processing graphics. Once you have your trading computer set up, you'll want to focus on your computer monitors (also referred to as "displays.") If you are just getting started, you can get monitors for a decent price on Amazon. Make sure the monitor is compatible with your PC so you don't need to buy an adapter. How Many Monitors Do You Need? There is no golden answer to this question. 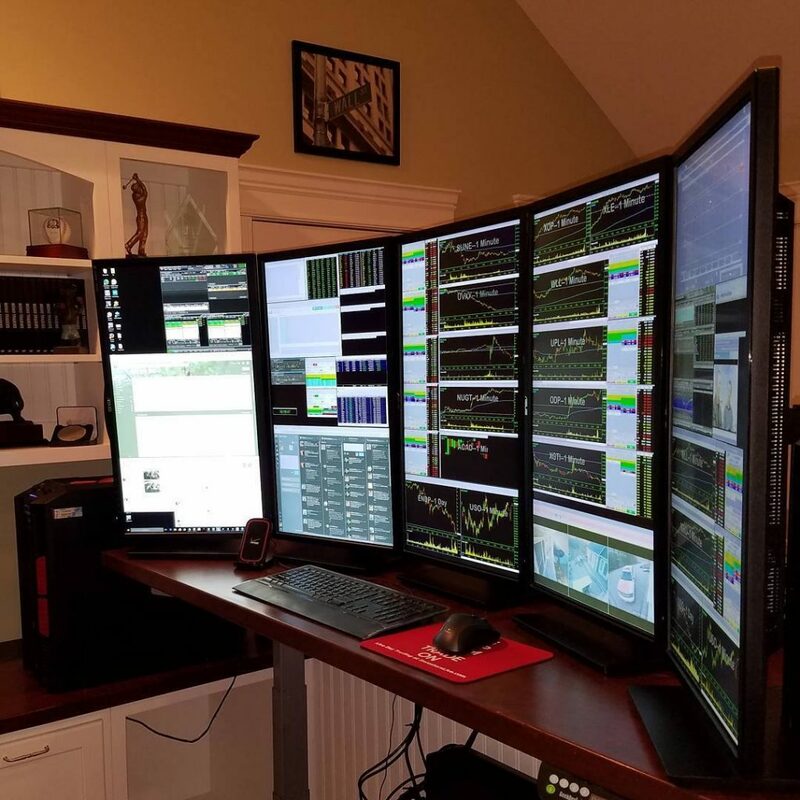 Some traders are comfortable trading on one monitor while others prefer having 8+. Don't get additional monitors for the sake of it. Think about what you need the monitors for and continue to upgrade over time. For example, if you can fit 4 charts on each monitor and you like to watch 8 charts during trading hours, get 2 monitors. If at one point you decide you want to watch 12 charts, you can always add a third. More monitors means more things to focus on, and that's not always a good thing. Looking for inspiration? Check out these trading desks. A monitor's resolution refers to how many pixels are displayed on the screen. Additional pixels add higher levels of clarity and allow you to fit more windows on a single screen. Resolution can often come down to preference. If you prefer your content to be zoomed in, you may choose 1080P, whereas if you prefer to fit more windows on a screen, you may prefer a 4K monitor. Choose a minimum of 1080P (1920x1080) when buying a monitor. 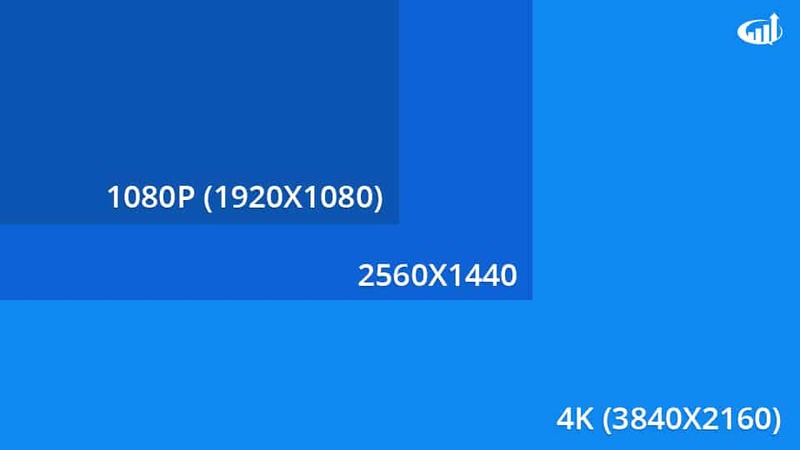 If you have extra budget, you may consider exploring higher resolutions like 2556x1440 or 4K (3480x2160). What Size Monitors Should I Choose? This question comes down to a) preference and b) desk real estate. What do you have room for and how do you want your setup to look? For example, you could get similar screen real estate by choosing either 3 27-inch screens or 2 32-inch screens. Don't overthink this one. Focus on what you have room for and how you want the setup to look. Desk Mounts - Desk mounts can be used to mount 1-3 monitors. These mounts are clamped directly to your desk (which is helpful if you have a sit/stand desk). 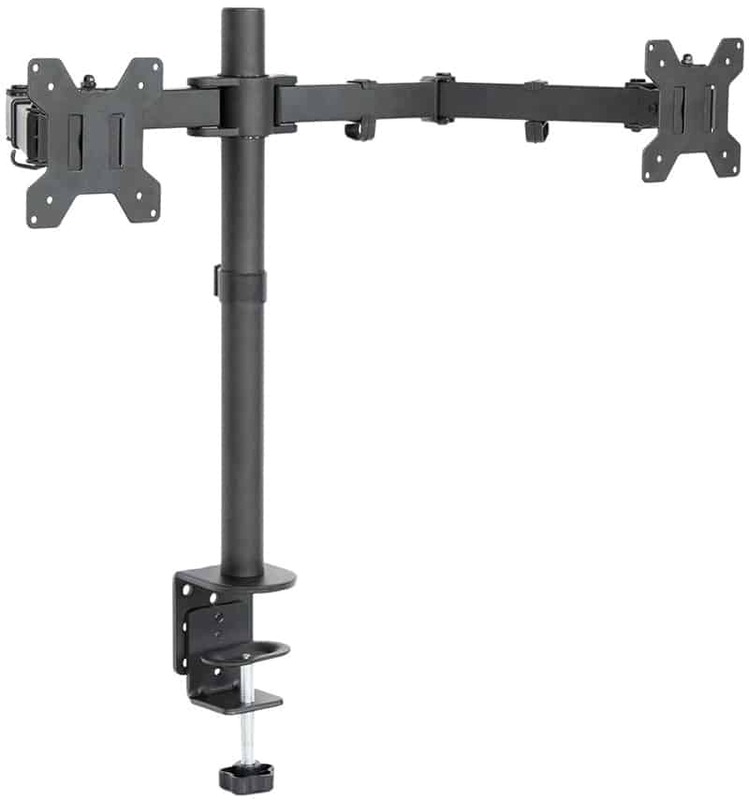 Wall Mounts - Wall mounts can be used to mount your monitors directly to the wall (Similar to TVs). This is generally one of the least flexible options but may be suitable for a couple of monitors. 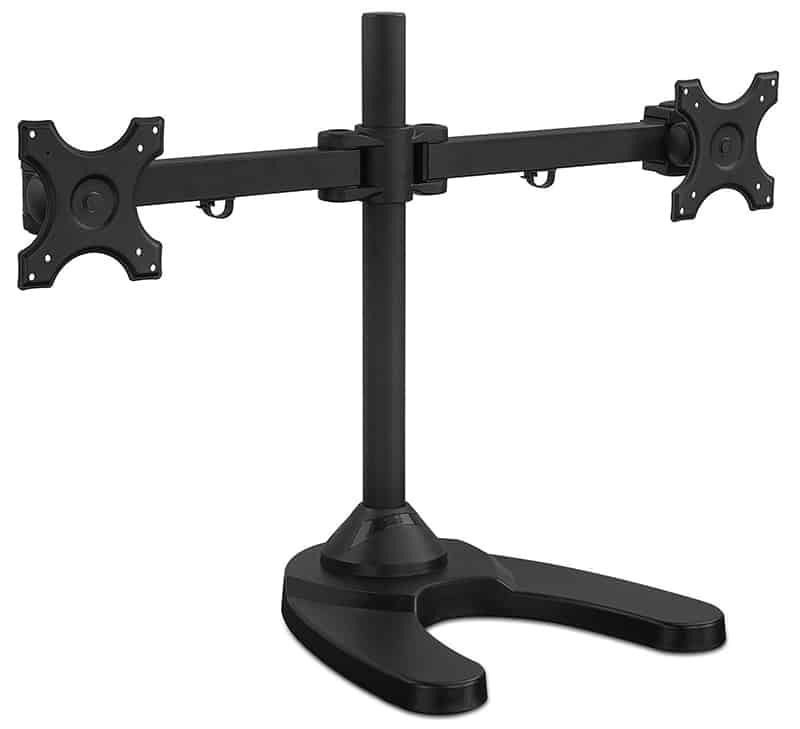 Monitor Stands - Monitor stands are similar to desk mounts, except they sit on your desk instead of clamping to the side of it. You can usually mount up to 3 monitors on one stand. For most day traders, a simple mobile trading setup will do. Chances are, if you are away from your desktop, you won't be trading too actively. A mobile phone or basic laptop will suffice in most situations. That said, if you travel frequently or just want to upgrade your mobile setup, here are some considerations. Your trading laptop is the most important part of your setup. It needs to be able to run smoothly and support any mobile monitors you may have. Getting higher quality specs on a laptop can be more expensive than building a new desktop. If you already have a decent laptop, consider using that or upgrading certain components (vs. buying a new laptop). If you build a great day trading computer at home, it can be difficult to trade on the road when you are limited to your laptop and/or smartphone. This is where USB monitors come in handy. USB monitors plug directly into your laptop and can be used as additional monitors when you are on the road. 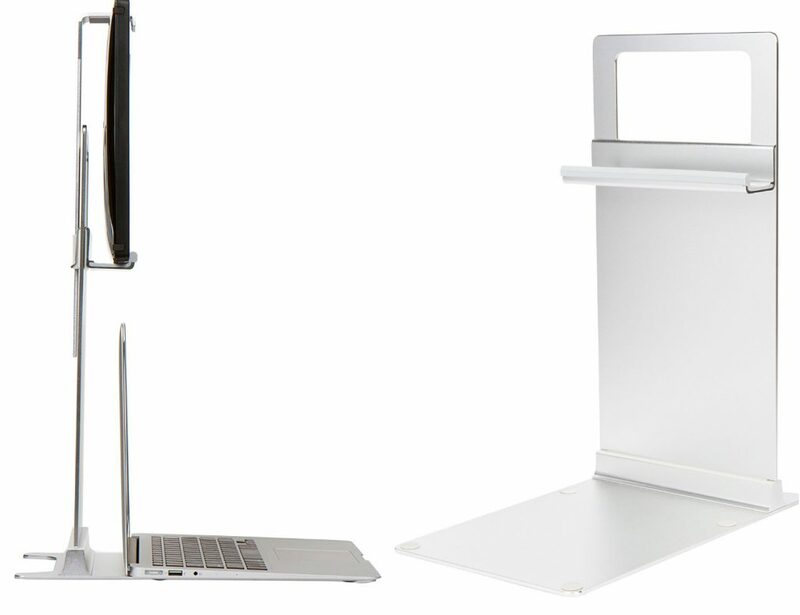 If you are using one or more mobile monitors, it can be helpful to put them on a stand (as shown in the 2 pics above). 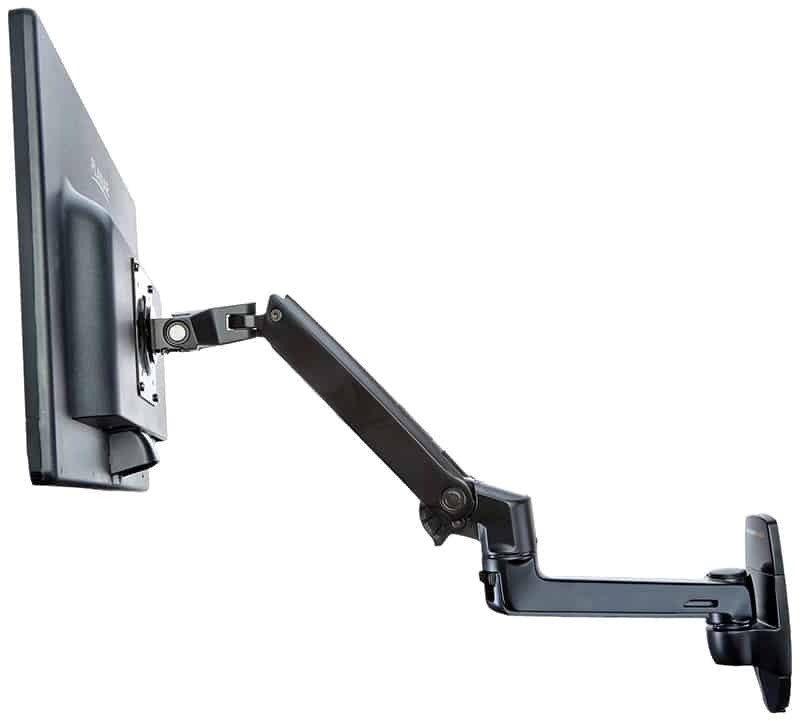 There are a few different options for mobile monitor mounting. 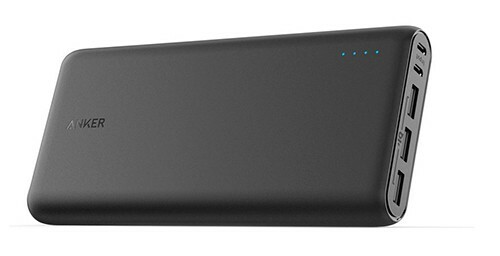 A power bank can be a lifesaver when you're trading on the go. These devices can charge your phone a few times over so you never have to worry about finding a place to plug in. How does your desktop or mobile setup look? Any life-changing devices you'd recommend? Feel free to share in the comments below! Nate's Setup: 1GB SSD Hard Drive. 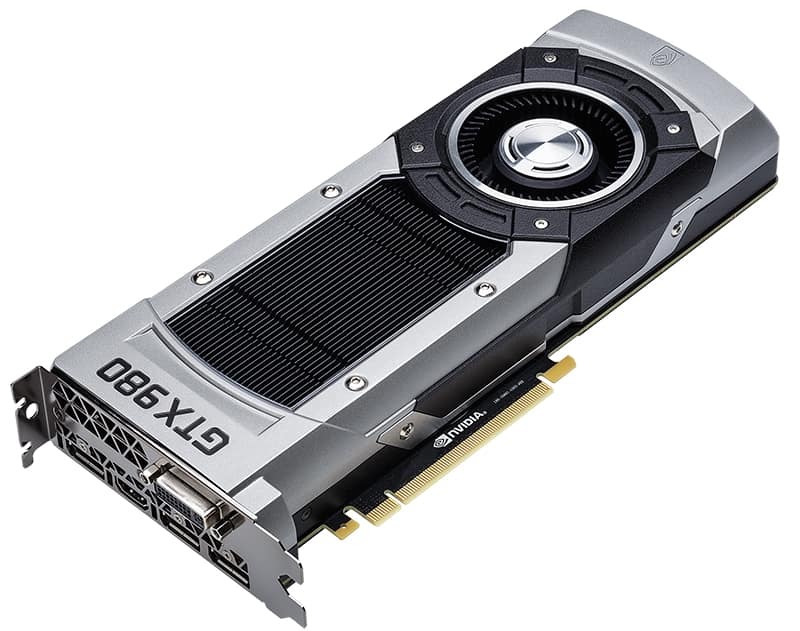 although it is a good idea to have a 1080p capable video card, for the relatively simple display demands of trading (vs. gaming), a trader can utilize a much less powerful graphics card. As a matter of fact, an 8 year old graphics card will more than do the job. However, some of the newer graphics cards (which are still 3 or 4 years old) can handle up to 4 monitors each. Any of the quad core (8 thread) processors from Intel or AMD, should be more than enough power for today's traders' needs. I know having HUGE HDMI monitors is great, but if you are on a budget, go to GOODWILL and get a used VGA or two. I have four and paid no more than $25 for each. You will need VGA to HDMI adapters that costs about $7 at walmart.com I use 2 computers that are refurbished from Walmart and got the 4 monitor setup including the computers for around $450, not thousands. How to connect muti monitor to dextop ??:????? Your connections are on the video card. Mine are 1 VGA and 1 HDMI. Depending how you set up the screen layout you can have one wide screen or two screens. You need to tell your video card what how you want to view it. hi i would like some help in building my trading computer. i don't have a lot of money. can you help? Yes, see nemome’s comments from April 5, 2017. If you can’t afford that, then you shouldn’t be trading until you have more money saved. All I need is a quote , buy, sell buttons. All the rest is poetry. Maybe you can understand with my portfolio of choice. Mr. Dell, my friends at NXP Inc , and some healthcare volatility. Buy a 50” 4K tv and a laptop that has data port or HDMI with a i5 processor as minimum and a full keyboard. Buy hardware as per your need, not the best hardware brings you the best trade. Right, that's what I am doing with my Laptop. I always trade with a 49"UHD TV but sometimes with 32" QHD Monitor in another room. What MB do you have? Is there any more specifications that you recommend for the monitors in addition to the resolution. What about response speed? Would 1s be the only one suitable? Also do you have any advice on using a gaming computer for trading?